What does the colour RED means to you? It is such a common colour we can see anywhere else nowadays but most of the time, the colour RED is to remind us that danger's ahead and to be cautious, or simply - Ask you to stay out of the area or prohibit you for further access. 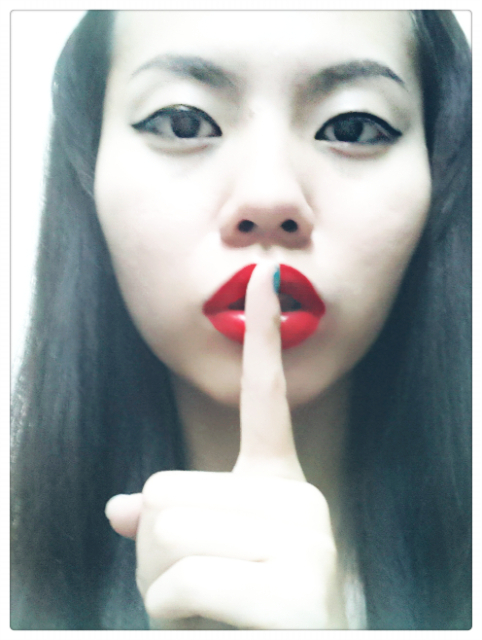 It is a limit, and boundary that stops you from getting closer to what your heart really desire. It is daring that in fact it intimidated most of us. But wait, HUGO has recently released a new men fragrance called HUGO Red which challenged each and everyone of you to GO ON THE RED! 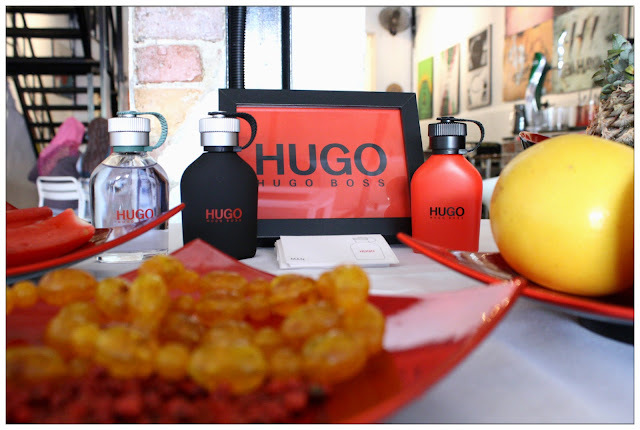 HUGO Man, HUGO Just Different and the brand's latest creative invention - HUGO Red. 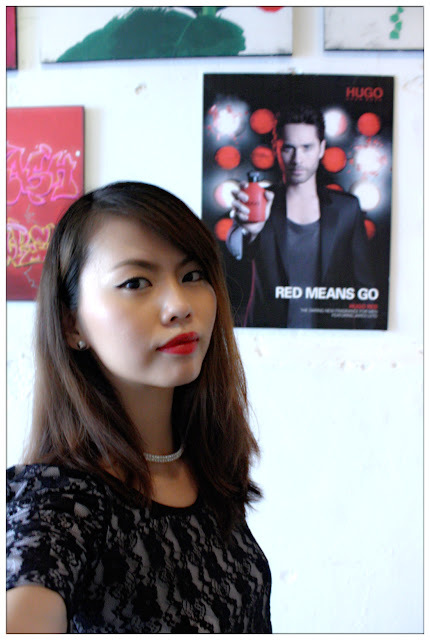 HUGO Fragrances has always deliver the passion towards fashion and innovative lifestyle of its users and in conjunction with HUGO's 20th anniversary, the birth of HUGO Red wasn't a coincidence but is the brand's example of creative and experimental spirit. The colour RED was chosen to represent this time's HUGO's new fragrance, besides to express the energy, strength, power and determination within, the colour is also claimed to be potentially provoke an exhilarating effect in us. 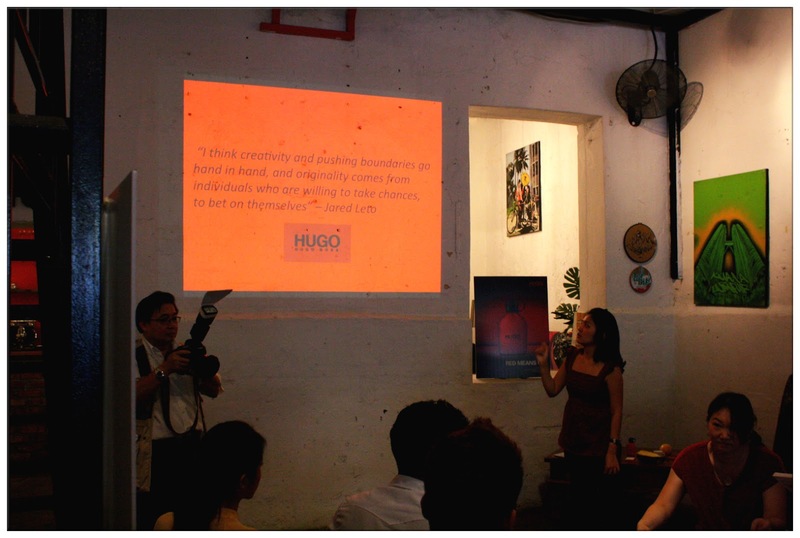 Out of my expectation, the media launch of HUGO Red was held at Rils Steakhouse, The Warehouse Gallery and Cafe. Everything that appears in front of my eyes that day was a state of art. 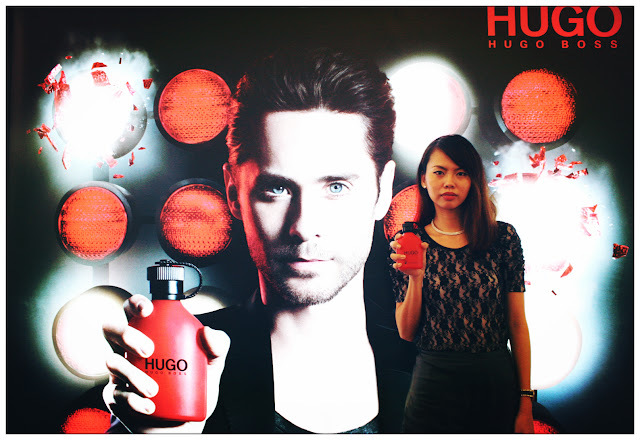 How can I not take a photo with Jared Leto, the brand ambassador of HUGO fragrances since year 2011! 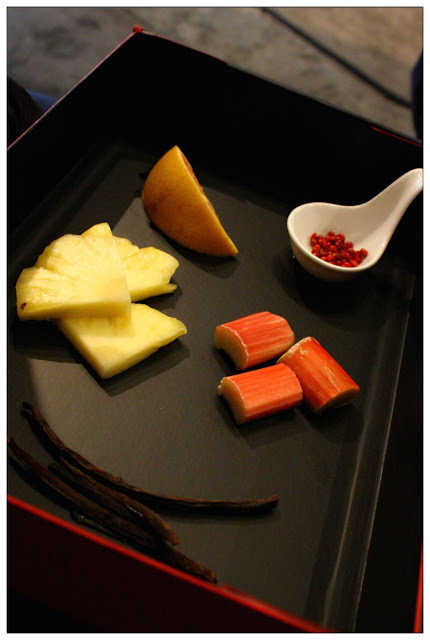 These are the ingredients used in HUGO Red to create its unique scent. HUGO Red carries an innovative scent which will be full of source of inspiration for the wearer. 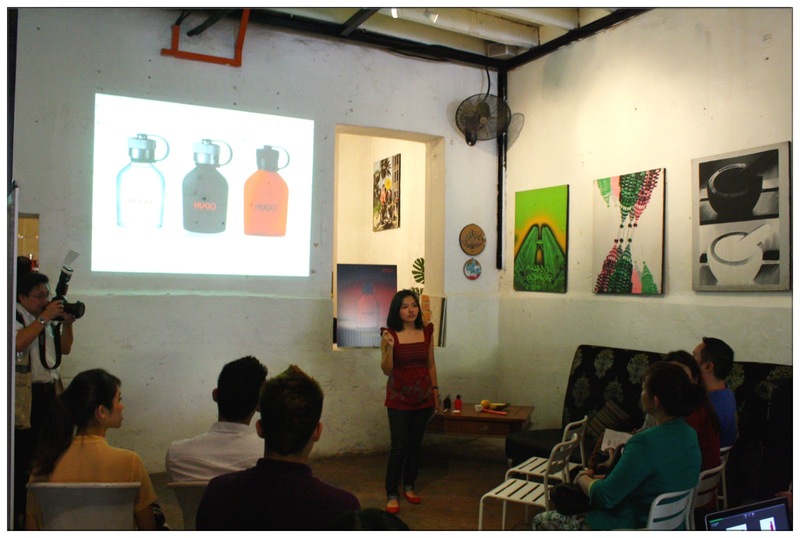 It is a scent that will capture ideas of pushing boundaries and achieving more in ones life. Its contrasting ingredients which blends the 'Solid Chill' accord and 'Liquid Heat' accord is something that goes beyond the natural limits and created something different and unique. The 'Solid Chill' accord combines the top note of Grapefruit with mix of rhubarb as the heart note which creates a bitter fresh accord with a metallic accent while the 'Liquid Heat' accord is characterized by cedarwood and hot amber that blends together and creates the heat and fluidity of red-hot metal. These two states of metal creates and intense pressure and unexpected behaviour of cold and hot metal, that constantly stimulates the wearer and leaves him feeling energized and always be ready to challenge himself. 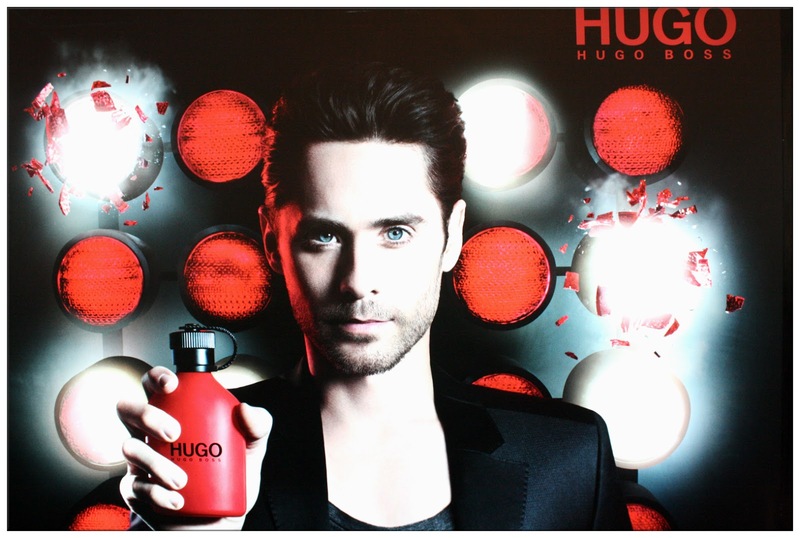 Jared Leto - a well-known musician, music video director and film actor, who is also the face of HUGO fragrances had express his view on this new HUGO fragrance. "I think creativity and pushing boundaries go hand in hand, and originality comes from individuals who are willing to take chances o be on themselves." "People sometimes think of pressure as having negative connotations but I think it can be a great motivator to take control and define who you are. When you face a challenge it is important to keep pushing yourself so you can earn and grow, and I always feel glad when I come out from the other side." He added. 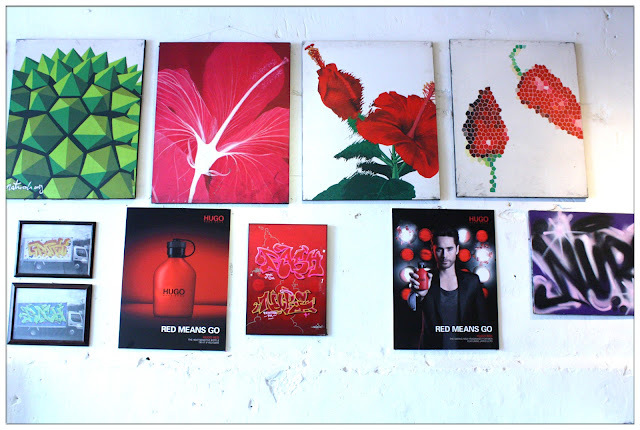 As so for the guests and medias who attended the media launch that day for HUGO Red fragrances, we were being tested as well, by drawing 'invisibly' on a canvas with the silhouette of the HUGO fragrances' bottle. Let your imagination fly, push the boundaries of your thinking and create something new. 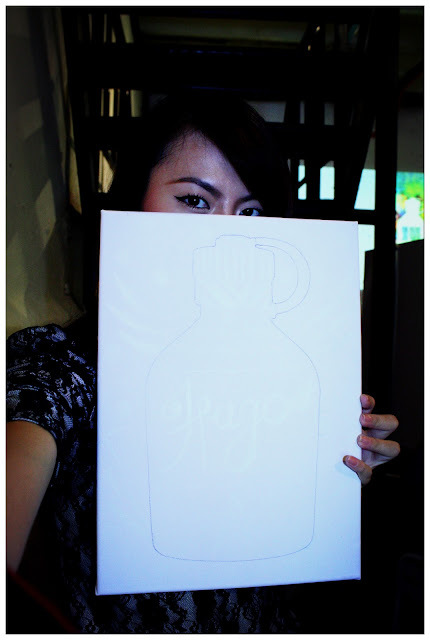 Do you wanna see what I drew? After the drawing session, all of us were invited to Rils Steakhouse which located one floor above The Warehouse Gallery and Cafe, and we're gonna have our lunch there. This is my first time visit Rils Steakhouse, and for that day, the table decorations are so 'HUGO'! 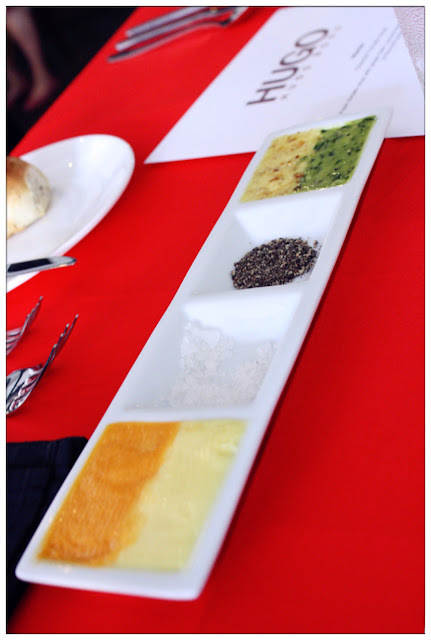 Various fo dips for breads. 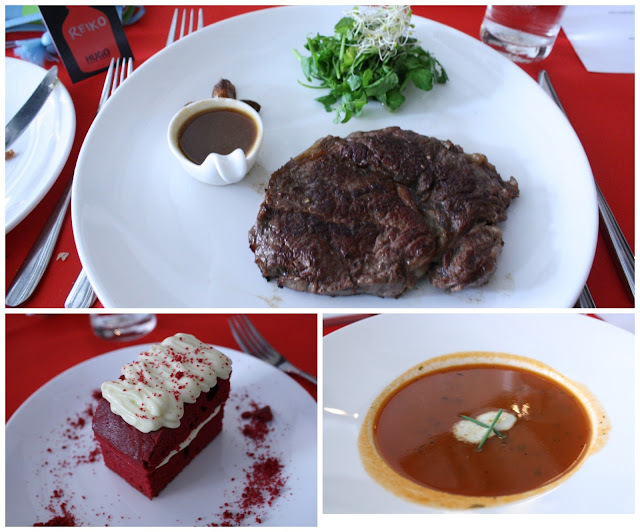 Tomato soup, Australian grass-fed sirloin steak and Rils Red Velvet cake. 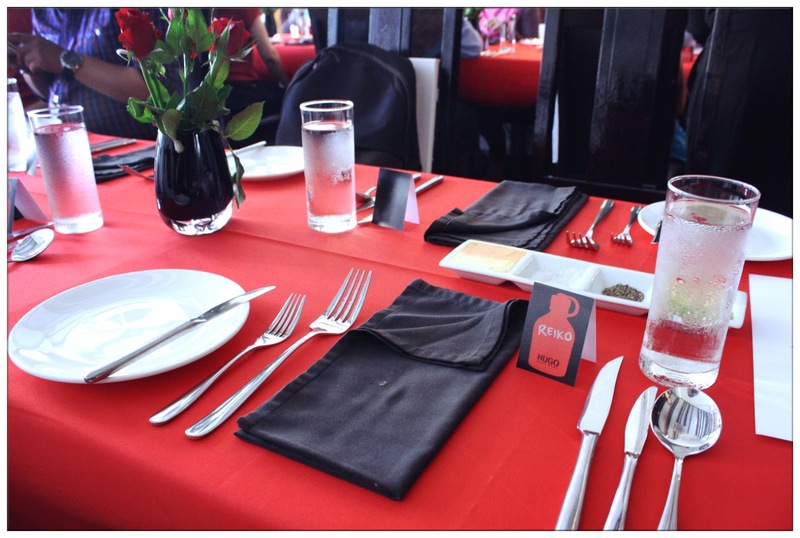 If you think after meal will be the end of the whole media launch, then you are wrong. 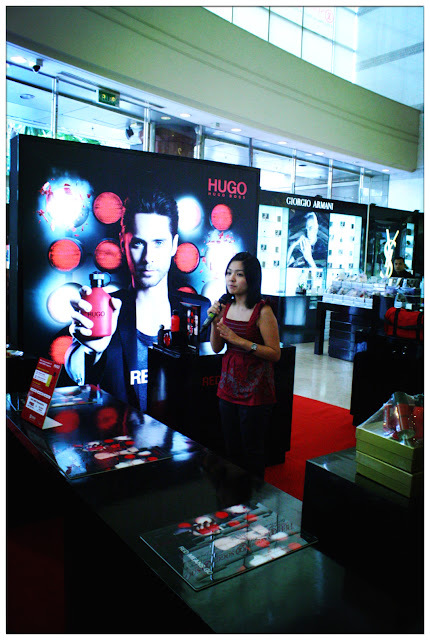 I was wrong too, as we headed to SOGO - the first department store in Malaysia that carry the HUGO Red fragrance only I realize there are so many exciting programmes waiting for us to participate there. 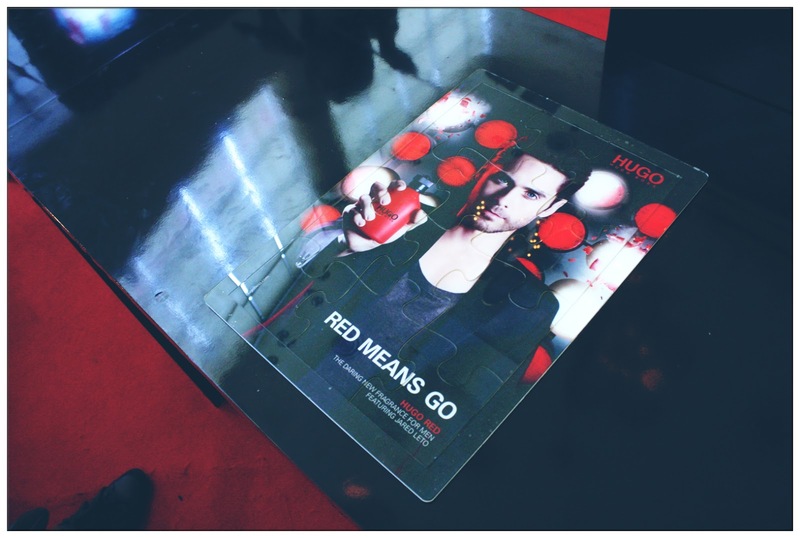 HUGO Red x Jared Leto puzzle! I almost steal this back with me okay! Here comes the challenge in order to win some awesome prizes: To complete the puzzle within 30 seconds. With the pressure of everybody watching you fixing the puzzle piece by piece, this is definitely one boundary-pushing challenge. 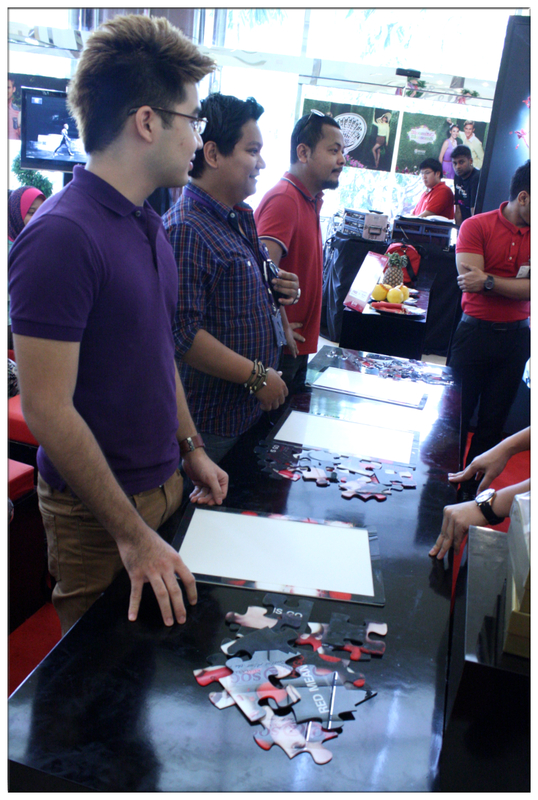 The challenge was so hard that most of the challenger cannot complete the puzzle within time limit. 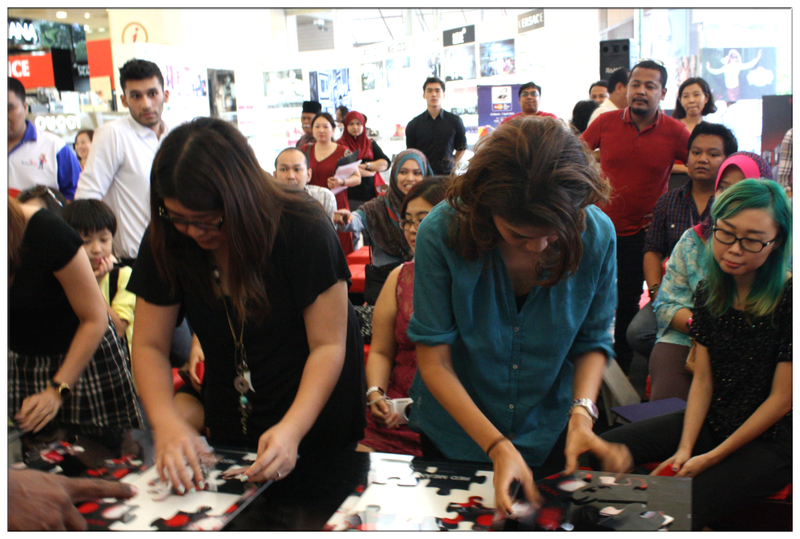 The organizers were kind enough to extend the challenge time to 40 seconds and this time, they did it!!! Tammy and Fatin in action! 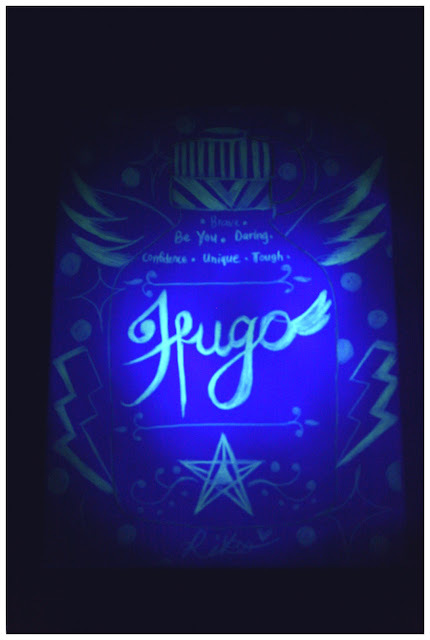 And they won themselves the mini bottle of HUGO fragrance. So happy for them! This proved that when we push ourselves to complete a goal and finally achieved it, something good will be rewarded to us, and of course, the satisfaction of achieving a goal and being one step further than who you were before is just unexplainable good! Now you know that Red means GO! It is not meant to stop us from achieving things we want in life, but to inspire us of keep pushing our boundaries and limits so we can be better and better. HUGO Red is truly one unique fragrances for men that can be found nowhere else but at HUGO counters in department stores near you. 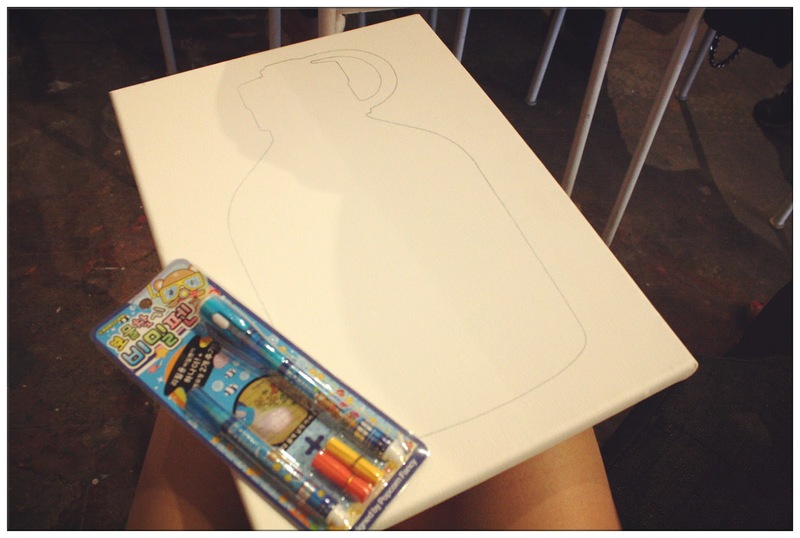 Your invisible drawing looks awesome! !